Q: How long have you worked as a Pool Troopers? I worked for Publix Supermarkets for 20 years before joining Pool Troopers in 2004. I have a combined total of 35 years of Customer Service experience. While working in Customer service I have met so many wonderful people and find that helping people is truly my passion. What I enjoy most about my job is the people I work with. We are very close and more like a family, than co-workers. We work hard, but laugh a lot as well. Q: What does it mean when you say that Pool Troopers exists to 'give people freedom'? It means that as a Trooper, we do whatever it takes, to get the customer taken care of quickly and professionally. This will give them more time to spend with family- that’s what is most important. 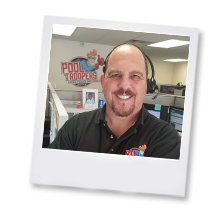 Q: What should new job applicants know about Pool Troopers? That we are not like any other company out there. We are truely “Family First”. Once you are hired, your Family. 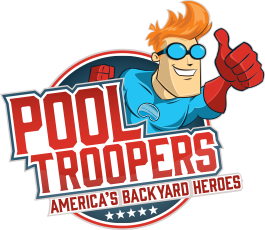 Q: What does the Pool Troopers phrase “We've got your back” mean to you? That phrase is not just a catchy slogan – it’s what we do. From the technicians in the field to the people on the phones each day, we all work very hard to do what is right for our customers. We do what we say we will do and even more.